The holidays can bring a lot of fun, great food and good times. However, they can also be rough on your skin due to late nights, holiday treats, and stress. To help combat these common holiday skin issues and keep your skin looking healthy, we’re offering eight tips that will make you look amazing for the holiday season. With all the events, parties and family gatherings, it can be hard to stick to your morning and evening skincare routines. However, it’s important to remember that this is when your skin needs extra care and pampering. You’ll want to be looking your best for parties and pictures and not have to worry about unsightly blemishes while you’re spending time with your loved ones. So, whether it means setting alarms, writing notes, or just pushing yourself to do your evening routine even when you’d prefer falling into your bed after a long day of shopping and events, sticking to your routine will help keep your skin look healthy throughout the holidays. 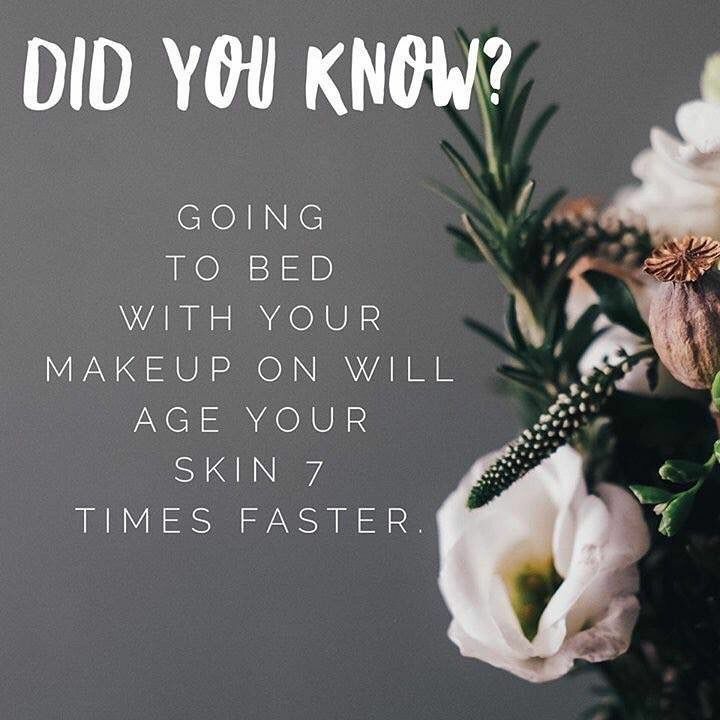 Along with keeping your routine up, it’s a good idea to make sure you remove your makeup every night. While it might be more tempting to crawl immediately into bed after a late party, leaving makeup on can clog your pores and increase the chances that unsightly blemishes will pop up in your holiday pictures. The last thing anyone wants is to look back on those memories only to see angry, irritated skin staring back at them. Drinking too much alcohol can have adverse effects on your health, but it can also negatively affect your skin. 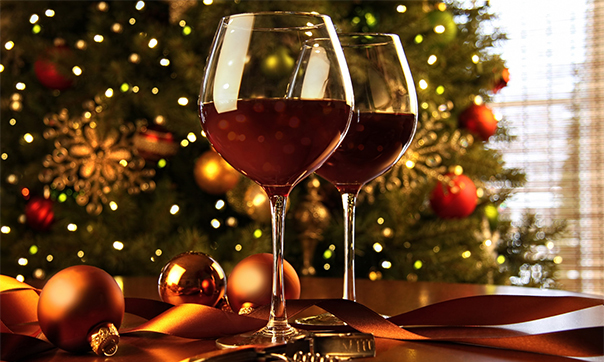 However, it is possible to enjoy alcohol in moderation throughout the holiday season. A glass or two of red wine is said to be good for your heart and can be good for your skin too. That’s because red wine is a complex brew that contains powerful antioxidants to fight free radical damage. Among these, resveratrol, the antioxidant found in grape skins, has anti-aging and heart-healthy benefits. The key part of this is moderation. It isn’t true that more red wine will mean more health effects. In fact, too much alcohol dehydrates the body and can leave the skin looking bloated and puffy, so take it slow and enjoy sipping a little red wine for your health and your skin. A lack of sleep can leave your eyes puffy, create dark circles, and leave your skin in an unhappy state. As much as possible, it will be important to try to keep a regular sleep schedule. While some nights you just can’t help going to bed late with all the holiday cheer, it’s still a good idea to try to get a full eight hours at least. Your skin will thank you for it, and you’ll be able to enjoy the day more fully after a night of good sleep. During the holiday season, many people find themselves spending a decent amount of time in the cold, winter air. Especially if you live in a dry climate, this can quickly start to dry out your lips and the skin on your hands. Nobody wants to deal with chapped, cracking lips or uncomfortably dry and itchy hands. So, make sure you keep a quality lip balm and hand cream with you at all times. You can carry these in your purse, keep them in a glove box or keep a small touch-up bag to use throughout the day. The parties and events during the holiday season can easily cause changes to your sleep schedule. When you aren’t able to get enough sleep, your eyes can get puffy and dark under-eye circles can become a serious problem. Gel eye masks that you can place in a freezer for a few minutes can help to calm the skin around your eyes. It’s a great tool to use when you simply have no other way to get enough sleep due to a packed schedule. Your skin and eyes will thank you for it. It can be especially hard to remember to drink water when you’re running around buying presents, going to parties and taking part in a multitude of holiday activities. Make sure to carry around a water bottle so that you can stay hydrated throughout the day. Another option can be a delicious hot tea, which can offer hydration as well as a little bit of a caffeine boost. Staying hydrated will not only help keep your body functioning in tip-top shape but will also help to keep your skin healthy and clear. It can also keep less healthy holiday foods from having nasty effects on your skin. Stress, sweets, and lack of sleep can lead to a breakout for some individuals. If you’re worried about the possibility of an acne breakout during the holidays, make sure to use an exfoliant that contains salicylic acid, because it will help prevent a breakout before it begins. If you aren’t using one already, this kind of exfoliator can add a great boost to your skincare routine. For acne that is already in progress, these products can help to put an end to the breakout quickly and efficiently. So go ahead, enjoy the holiday season while looking your best – just remember to continue your regular skincare regimen, indulge in moderation, and get plenty of rest and you’ll be able to keep great looking skin for all those holiday pictures!